Home / Manic Mondays! • Pretty In Pinky / Manic Monday! 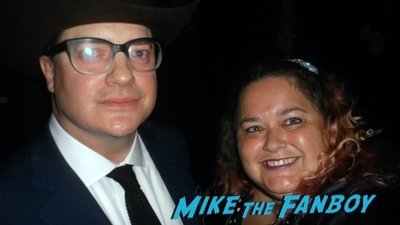 Pinky Heads To The Stone Age After Meeting The Cast of Encino Man! Brendan Fraser! 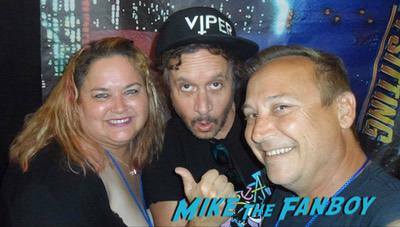 Pauly Shore! 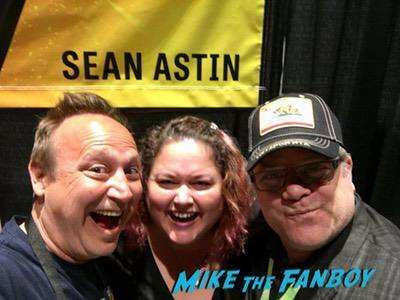 Sean Astin! Robin Tunney! And More! Manic Monday! 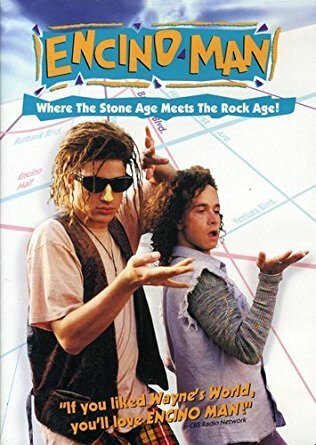 Pinky Heads To The Stone Age After Meeting The Cast of Encino Man! Brendan Fraser! Pauly Shore! 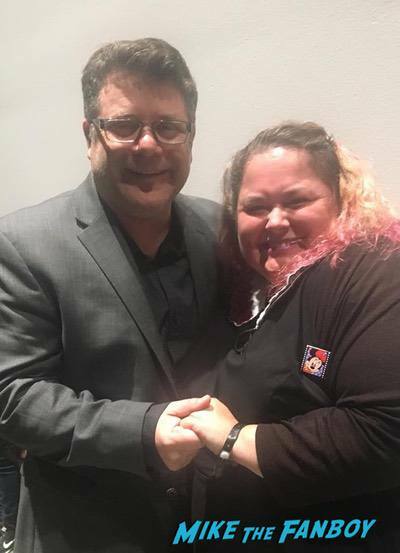 Sean Astin! 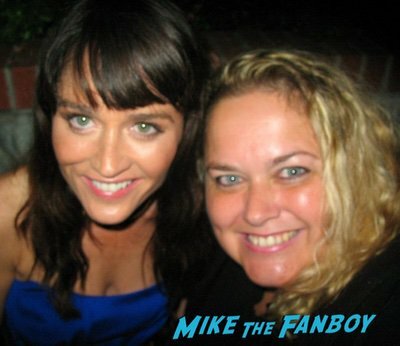 Robin Tunney! And More! 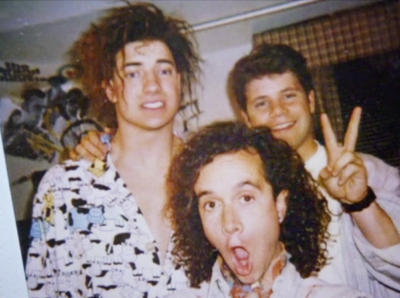 How can you not love Encino Man? One of the best camp classics of all time! Pinky is a huge fan of the film and wouldn’t you know it… She’s met the cast! Collage time! Hello, my lovelies. 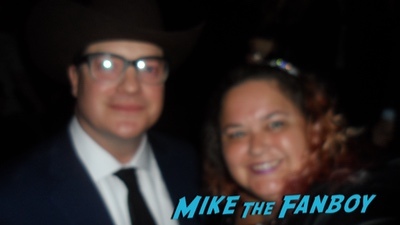 Pinky Lovejoy-Coogan here excited to be sharing pictures with the cast of a movie I loved so much in 1992 called Encino Man. Now, when this movie came out I was in my Sophomore Year of college and just thought it was the funniest thing. It didn’t hurt that I loved all the actors involved – Brendan Fraser, Pauly Shore, Sean Astin, Megan Ward, and Robin Tunney (just to name a few). At the time, I had no idea that I’d have various chances over the years to meet these people – I still can’t believe it! but the second one is slightly better (at least it’s not blurry!). I’ve had much better luck with everyone else over the years – what a fun bunch! I hope they had as much fun making it as we had watching it. When’s the sequel? Manic Monday! Pinky Meets The Cast Of Mr. Belvedere! Ilene Graff! Bryce Beckham! And More! Harold & Kumar Go To White Castle 10th Anniversary Reunion! 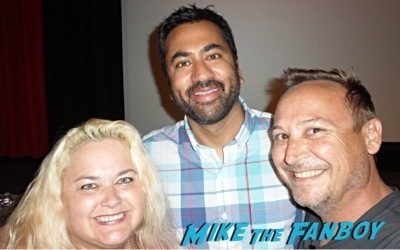 Kal Penn! Jon Cho! Christopher Meloni! And More! Manic Mondays! 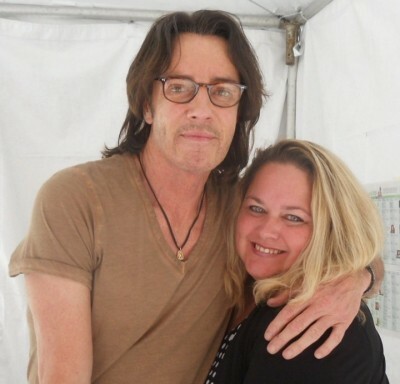 Pinky Wants To Be Jessie’s Girl After Meeting Rick Springfield! Teen Idol Awesomeness! Manic Mondays! Pinky Ain’t Afraid Of No Ghost! 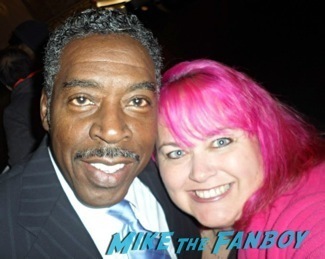 When She Meets Original Ghostbuster Ernie Hudson! Awesome – this is a guilty pleasure movie for me! Fraser is tough to get – nice job.